If you’re embarking on a home care journey, you may feel like you need an encyclopedia to define all the words, terms and phrases you hear from doctors, professionals, friends and local resources. It’s true, there is quite a bit to know when discussing in-home senior care. 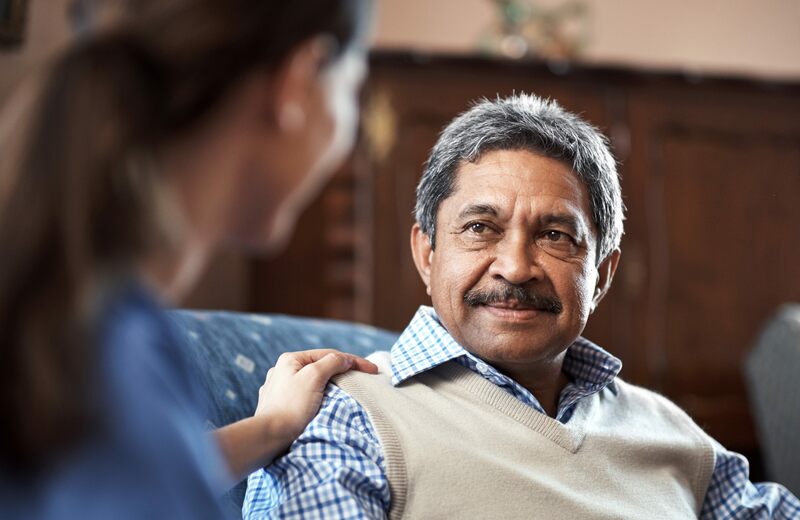 Bayshore HealthCare wants to simplify your journey, so read on to see our convenient glossary of terms and phrases that you need to know while considering in-home assistance for yourself or an aging loved one. Aging in place is a term used to describe the act of staying at home through one’s senior years. The opposite of aging in place is moving into assisted living, a retirement community or a nursing home. Elder Care is an umbrella term for the many types of assistance that can be provided to seniors as they age. Types of care that can be classified as elder care include health care, home care, occupational therapy, transportation assistance and more. Home care is, simply, care administered at home. Home care can refer to many different types of care, including personal care, housekeeping, respite care, nursing, injury care, therapy, and hospital transition assistance. Home care is also not limited to seniors – people of all ages receive care at home due to a variety of limitations or circumstances. Activities of daily living (ADL) are defined as eating, bathing, dressing, using the toilet, transferring (being able to get in and out of bed or a chair unassisted) and maintaining continence. These activities of daily living are often referred to in documents like insurance policies, but are also used to assess one’s ability to live alone, or their need for in-home care. Professional Caregivers are certified personnel who enter the home to administer care. There are many different types of professional caregivers, all serving different purposes and specializing in different types of assistance. Personal Support Workers (known commonly as PSWs) are professionals who seniors can rely on for help with hygiene, housekeeping tasks, medication reminders and more. Registered Nurses (RN) and Registered Practical Nurses (RPNs) are healthcare professionals who can administer treatments in the home. Bayshore HealthCare offers a Companion Plus program – our companions engage aging loved ones in meaningful, positive experiences to stave off feelings of loneliness. A geriatrician is a doctor who evaluates and treats the unique healthcare needs of people aged 65 and older. A geriatrician is usually just one member of a team of healthcare professionals, therapists and specialists who treat seniors as they age. Family Caregivers are a senior’s family members or loved ones who assist them as they age at home. Over 8 million Canadians act as caregivers for a loved one. Many of these family caregivers are at risk of caregiver burnout, which occurs when a family caregiver is overwhelmed and exhausted by the responsibilities of caregiving. Respite care is the introduction of a professional caregiver to provide a family caregiver with a break, or respite, from their caregiving responsibilities. It is critical to the health and well-being of family caregivers that respite be an option for when they are too burnt out to take care of themselves. Dementia is a term that refers to a variety of brain disorders, including Alzheimer’s disease, which impact a person’s personality, behavior and memory. While dementia is not a normal part of aging, it does unfortunately affect many seniors. Bayshore’s professional caregivers are trained to assist with the unique health and lifestyle challenges that dementia presents. Palliative care is a unique type of care that is provided when someone faces a life-limiting illness and begin to approach end of life. Palliative care is designed to help maintain quality of life, improve comfort, ease psychological symptoms and provide a peaceful and dignified death. Bayshore provides palliative care at home, which allows patients to be in a familiar environment, and allows families to play an active part in their loved one’s care. Your home care journey is bound to be filled with new discoveries, difficult decisions and fulfilling victories. Let Bayshore be there every step of the way; our trusted caregivers have been enabling seniors to age at home for 50 years. Give us a call at 1-877-289-3997 to learn more about getting started with home care.